Here's a few funny birthday poems that are meant to make to make us all laugh. There's no need to send someone birthday wishes with the same old wording. The goal behind these verses is to not sound boring or generic. Some are short, while others are a bit longer. They all rhyme, and feel free to share them with your friends, mom, dad, sister, brother, husband, wife or anyone else in your life. The first one is meant to be shared with someone who has a good sense of humor. I'm thinking of sharing it with my uncle Peter. He's a pretty funny guy, and he knows how to take a joke. Actually, I think the second one is probably my favorite from this section. It talks about being cheap with regards to the birthday card and the gift. but it's all in your brain. But I can't count that high. you should try to forget. you don't need a cane. now go play in the rain. Personally, I really enjoy including these funny birthday poems inside those silly birthday greeting cards. There are a lot of funny greeting cards out there, and there's nothing wrong with adding a little bit more humor to them. However, if you just want to focus the attention on the poem itself, then you may just pick up one of those blank cards. It's up to you. but I won't tell you where. this card you can't keep. so you better read fast. has been used in the past. I try my best to reuse. place back in the box. it's all yours to keep. So what did you think of that one? If it made you laugh, it will probably make the person you share it with laugh as well. I think it would be really funny if you actually added this poem to a used birthday greeting card. It'd go along perfectly with the poem. but I know you're my friend. and make sure it's long. your day that you share. at the end you declare. if you know they are broke. your age and your name. and I hope it's not lame. You want to give this poem to a friend or a family member. It's your choice. The second stanza reminds me of how we always count the years when singing, "Happy Birthday". Even if the person is really old, we manage to patiently count year by year. I'm just speaking for myself, because not everyone in our family is patient when we're counting the years. The next two funny birthday poems were written for women and men respectively. This birthday poem may be shared with all the wonderful women out there (oh, and it's also quite funny). Enjoy! as she works on your nails. and you have been crowned. you wake from your dream. and you hear the kids scream. You may need to change the last stanza up a little bit if the birthday girl doesn't have kids. Otherwise, it should work just fine. The last funny birthday poem was written with men in mind. Since I'm a guy myself, this one came fairly naturally to me. I was essentially trying to make myself laugh while writing it. I hope it worked. the exact day of their birth. and how much they're worth. there's no need to draw. is their ritual and law. for men is quite dear. 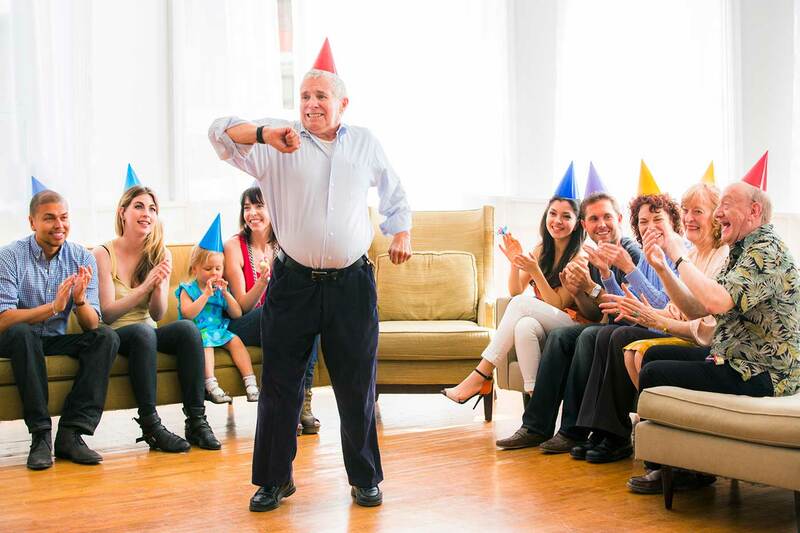 Have fun sharing these funny birthday poems, and hope you have fun at the party!